. . . to Faith Matters! BIBLE STUDY: LUKE isn’t really a Bible study (although you could certainly use it for that), but a dialogue with Luke’s Gospel. It’s also a dialogue between a brother and sister who both love this gospel – meditations and musings are written by Donna Baldwin Ross; poems and lyrics are written by David Baldwin. WHAT DO WE DO WITH THE BIBLE? Discussions of Richard Rohr’s new book begin at St. Patrick’s, Kenwood on May 8 at 10 am. St. Benedict’s, Los Osos; and St. Paul’s, Cambria. Prayer with Biblical Images; and Things Hidden Lectio. BOOK DISCUSSION NOTES: We’ve read some great authors over the years! Check out notes here on Bradley Artson; Cynthia Bourgeault; Elizabeth A. Johnson (Ask the Beasts and Quest for the Living God); Hans Küng, Sallie McFague; Jay Parini; and Richard Rohr (Falling Upward and Things Hidden). 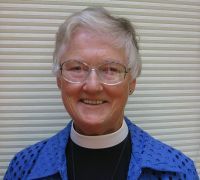 A retired Episcopal priest, Donna Ross served as rector of two Episcopal parishes – Christ Church in Oberlin, Ohio and St. Paul’s in Cambria, California. After “retiring” from St. Paul’s in 2006, Donna served another twelve years as Associate Priest at St. Benedict’s, Los Osos – preaching, teaching, and leading adult book discussions. She is now an Associate Priest at St. Patrick’s, Kenwood, where she occasionally preaches and leads adult discussions on a variety of topics. A poet for many years, Dave Baldwin is the former national secretary for the Haiku Society of America. Dave recently retired from the Walt Disney Company (Technology Division) after 44 years as a technical writer and editor. In his career, he worked for Boeing, Microsoft, Hewlett-Packard, Amazon, and numerous smaller software companies. He has been a naval officer, college professor, real estate broker, and masters track athlete, and is also the author of a book about the history of track and field, Track and Field Record Holders (1996). 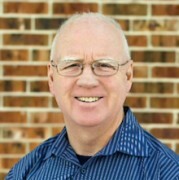 Dave is a member of St. John’s Episcopal Church in Snohomish, Washington, and lives in nearby Lake Stevens.